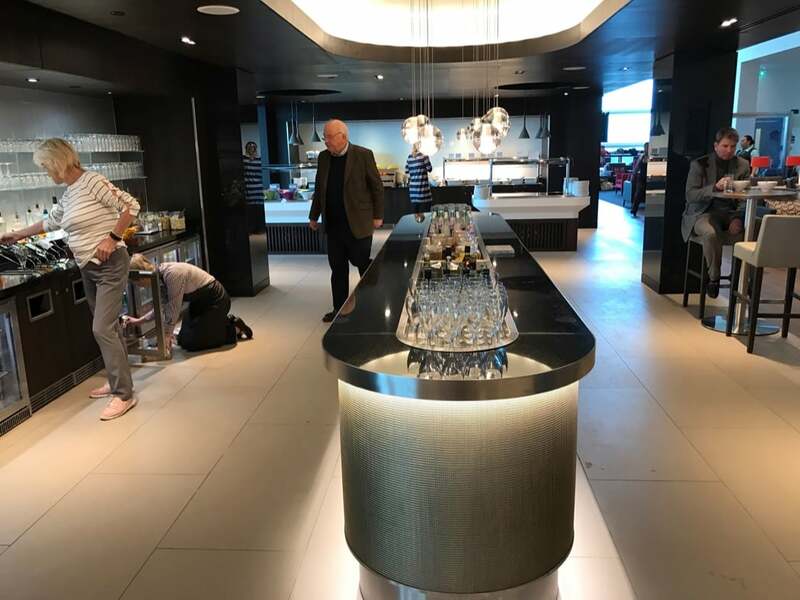 The new British Airways Business lounge for Club passengers and First lounge is open at London Gatwick’s South Terminal and it is an absolute cracker. Following a late opening due to electrical teething troubles, the lounge is now fully functional if a little hot. While I was there the air conditioning was clearly not working and the room was a balmy 24’C ish – not a problem for me but another passenger was complaining that the heat was “disgraceful”. Other than this issue, the lounge really was rather good. You find the lounge by walking up a maze of corridors leading up from the ground floor or upper level (next to Dixons) OR and then after amore windy corridors you come to the rather snazzy reception pictured above. Actually, if you turn left straight after security, just before the escalators down to the duty free, access is much quicker. I got confused and took the long route! 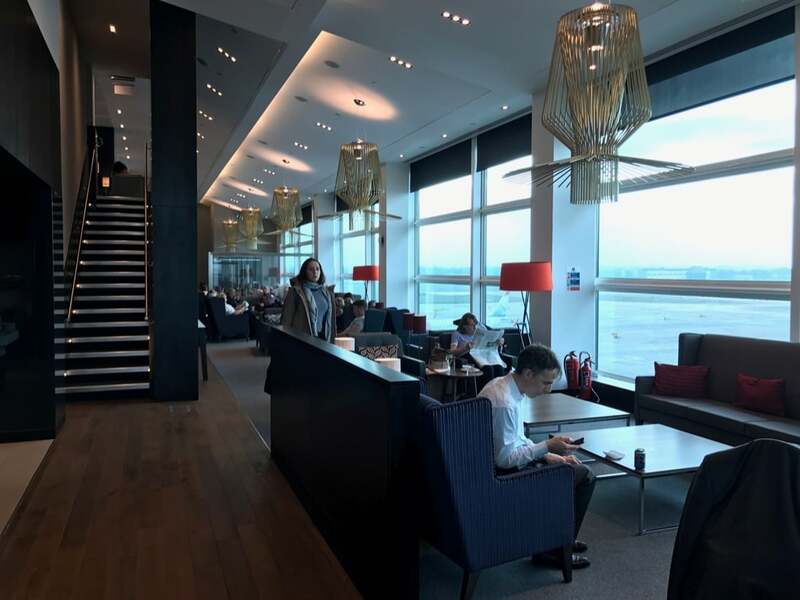 To the right of the reception was the Business or Club lounge for Club Europe and Club World passengers (along with those holding a Gold or Silver British Airways card). To the left was the quieter First lounge for First Class passengers and those holding a Gold British Airways Card. 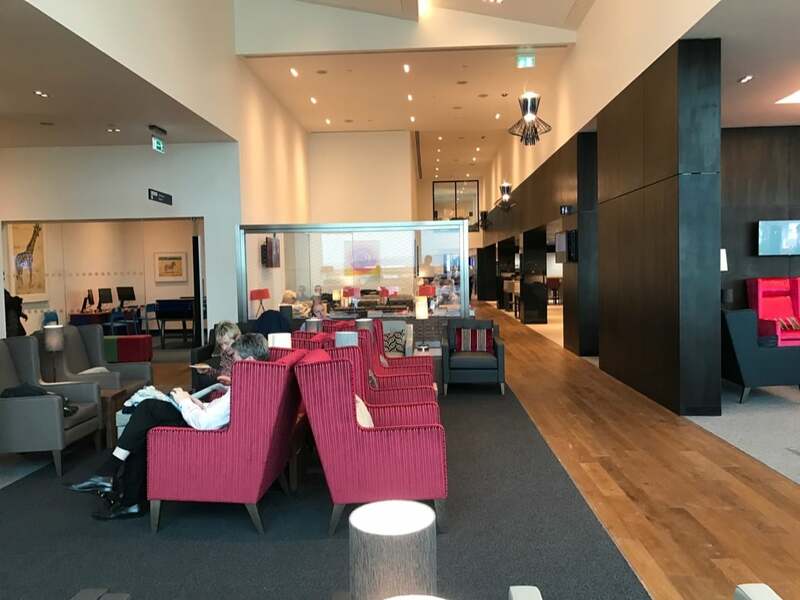 I managed to sneak inside the First lounge even though I was travelling Club Europe, and you can take a look at my photo review of the British Airways First lounge at Gatwick South, separately. Once inside the lounge, there was split level layout in a large double-height oblong space. In the centre was the buffet area and above the buffet was a floating level with another coffee area. 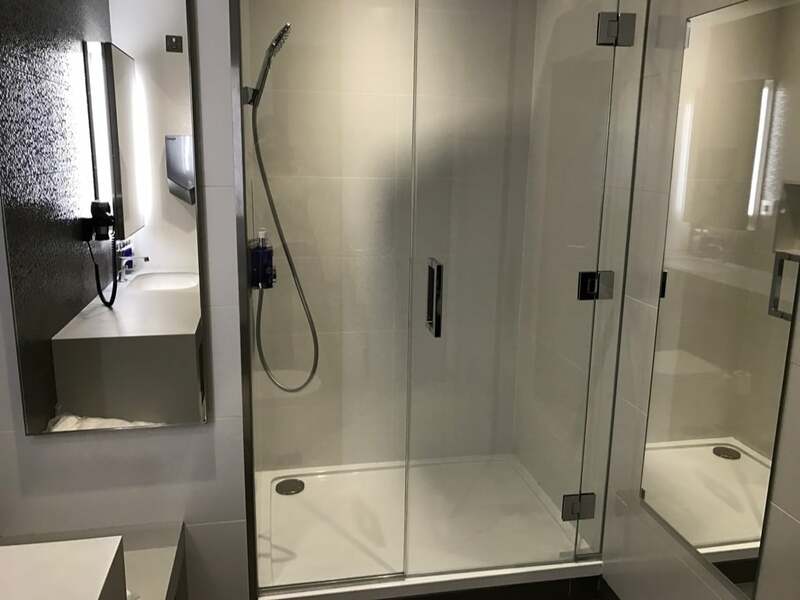 To your right as you entered the lounge were a number of shower rooms and a business facility with printer. 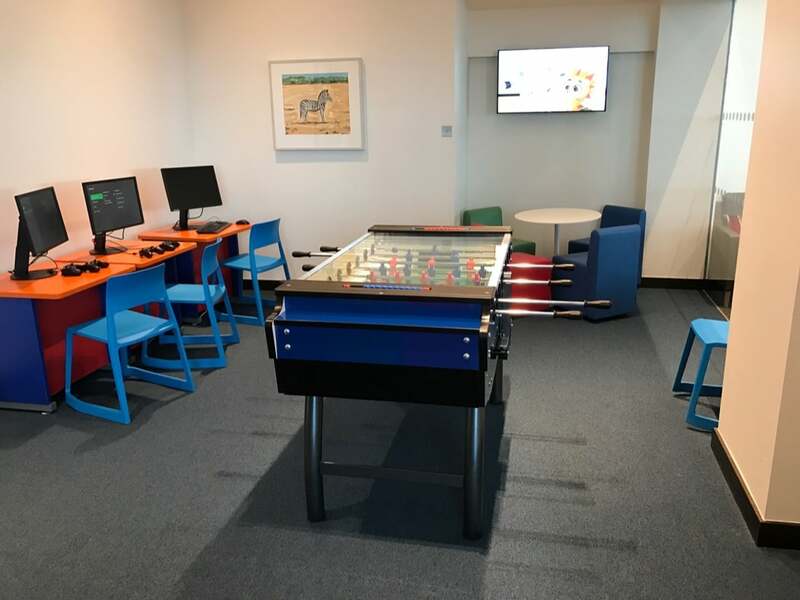 If you kept walking right to the end of the room there was a kids play area with table football and movies before the toilets. Two sides of the room offered double height floor to ceiling glass windows with views across the airport. The sitting areas were segmented into sections which made them quite private and intimate. 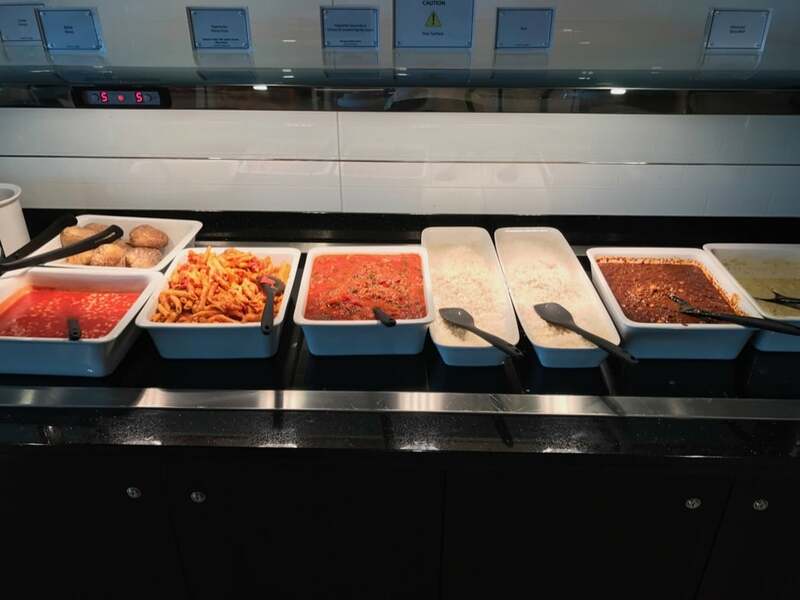 There is an impressive array of newspapers and magazines – pretty much anything you could wish for – and of course a large food buffet. Rice, baked potatoes and baked beans. 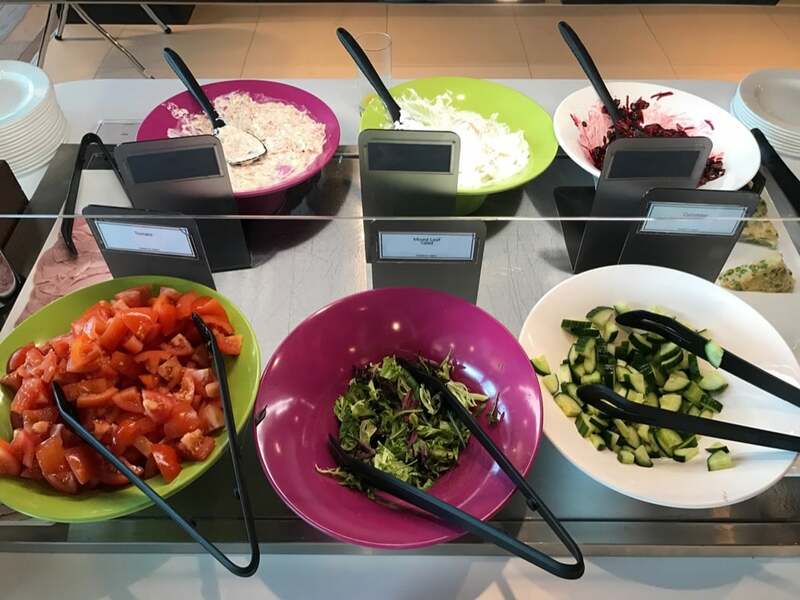 There was a table of salad (tomatoes, potato salad, coleslaw etc) and a selection of fresh buns and there was yet another table with some tasty looking cakes. Drinks on offer included wine, spirits, beers, coke, juices water etc with crisps and nuts and of course a coffee machine with tea and coffee options. 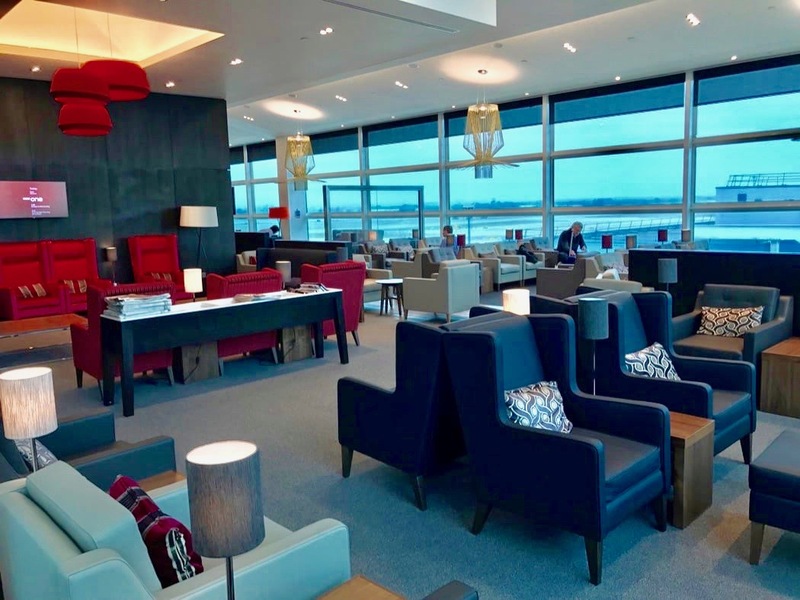 I really liked The New Gatwick South British Airways Lounge. 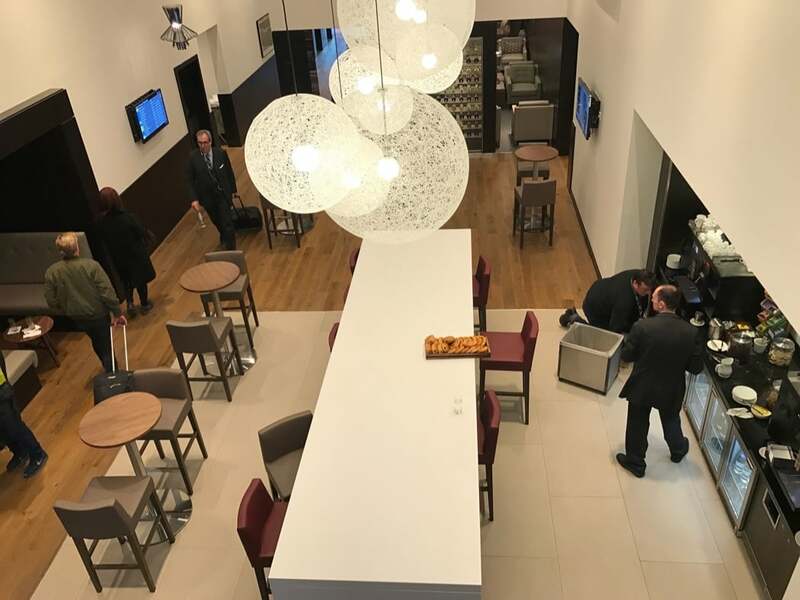 The food offering was similar to the other Galleries lounges (although this lounge is officially named a “Business” lounge rather than a “Galleries” lounge. 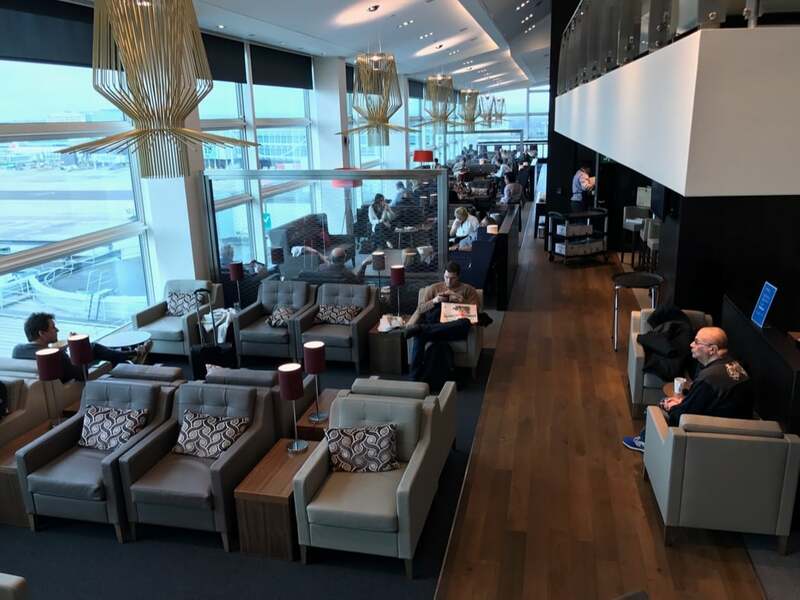 I have experienced but the intimate size of the lounge when compared to the vastness of Heathrow Teminal 5’s North and South lounges means that it had a nicer feel. 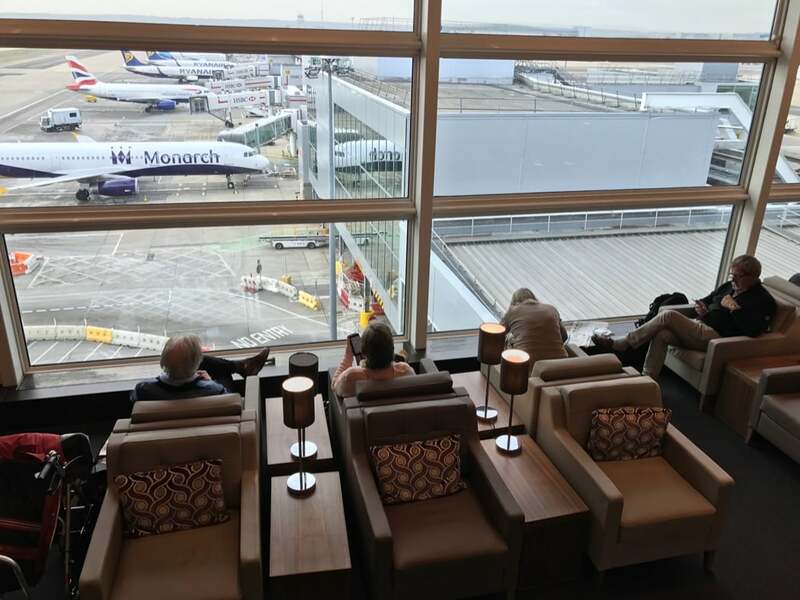 I used to choose Heathrow terminal 5 over Gatwick as I think it is such a stunning airport. Gatwick remains a tatty hotch potch of buildings skewed towards charter flights and has a ore provincial feel than Heathrow, but I really liked the new lounge and for the first time, I wouldn’t find it a drag to fly out of Gatwick on British Airways… as long as I had access to the serene escape of the BA Gatwick South lounge. 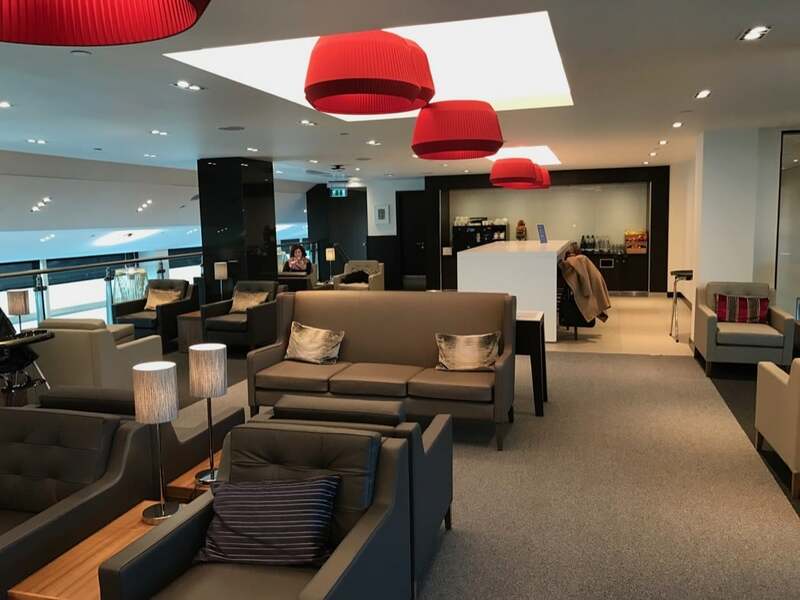 British Airways features in my top Business Class Airlines and I compare British Airways Club World Vs Virgin Atlantic Upper Class including the Galleries Lounges Vs Virgin’s Clubhouses. 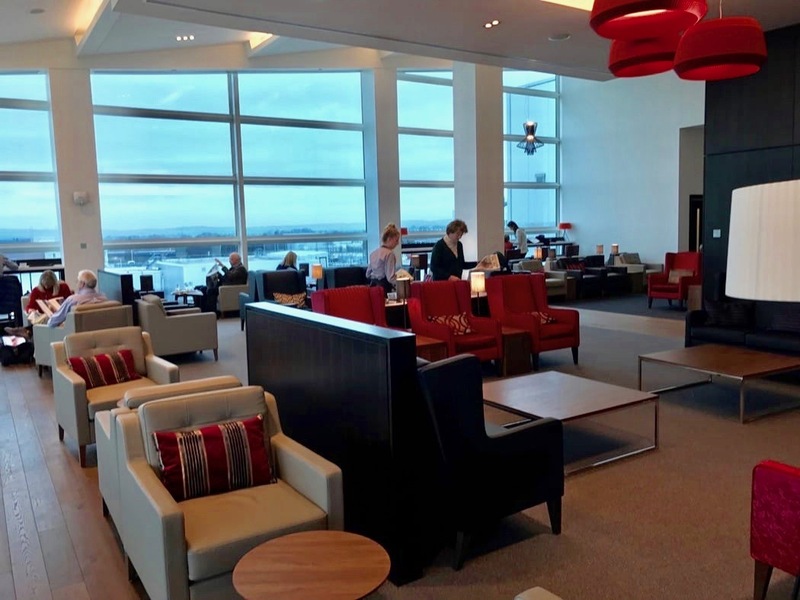 If you enjoyed this review you may be interested in my other airline reviews and airport lounge reviews.